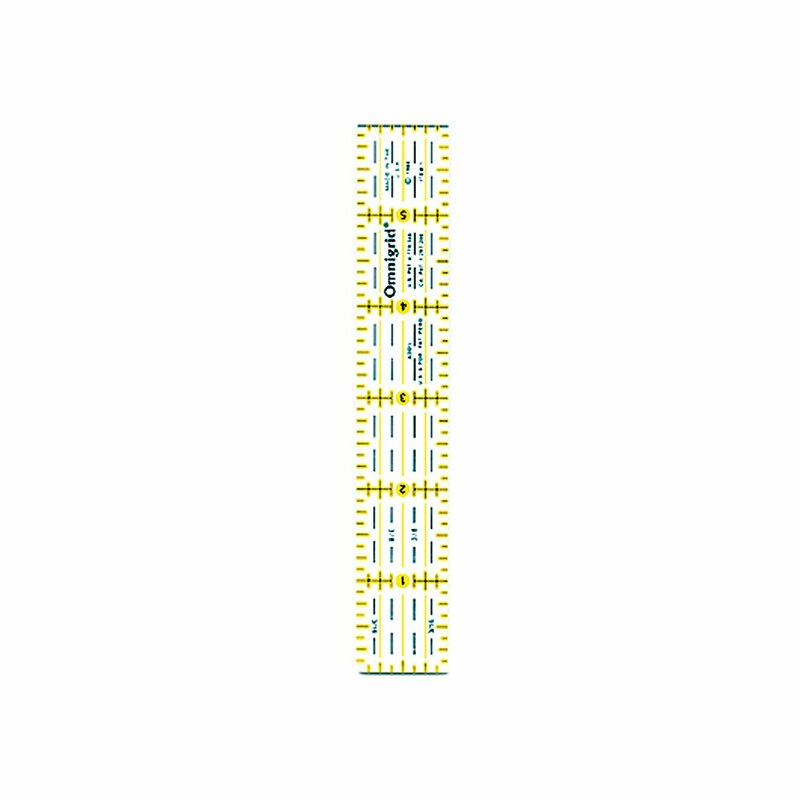 1" x 6" ruler with 1⁄4" or 3⁄16" seam allowances. Prevents fabric rolling when cutting curves. Great for zipper installation, hem marking and aligning sewing machine needles. Made of strong and durable premium quality acrylic plastic. Unique black and yellow double sight lines for easy viewing when working with light and dark fabrics. Laser cut to within 0.002" accuracy with a smooth finish. Specially designed for right and left handed use.